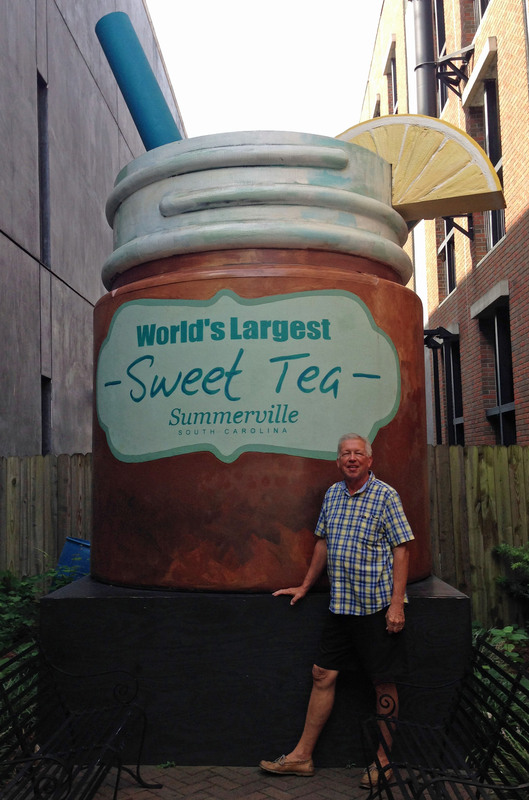 Summerville Sweet Tea – The Home of My "Big Things"
On our way from Columbia to Charleston, after the eclipse, we stopped in Summerville, SC to get a photo of this Large Sweet Tea container. On the way in to town we stopped at the Visitor Center. We found about the Azalea Park which has walkways featuring a number of sculptures and azaleas and camellias in season, a nice park in a small town. We also were recommended to a local treat, Eve’s Restaurant where we had great fried chicken lunches. A real “local” place. Oh, I forgot, the sweet tea image. Here it is.